HAS the future arrived in the shape of an executive sedan? 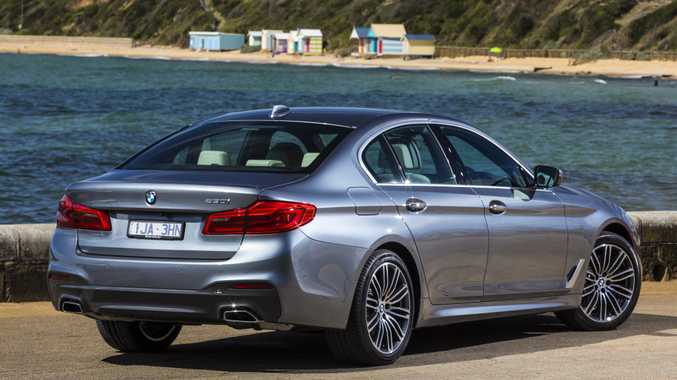 This is the seventh-generation BMW 5 Series, all rather innovative and comprehensively crammed with cleverness. 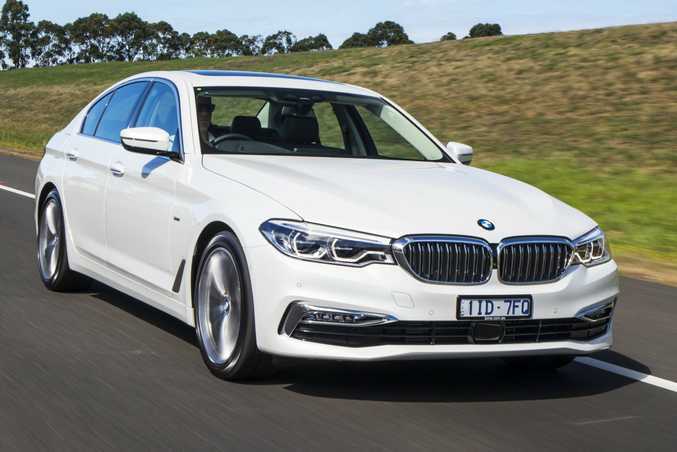 It's all about the latest luxury and tech in our premium sedans these days, and after Mercedes wowed us with its driver-assistance- heavy E-Class (launched last July), this is BMW's feature-filled reply. BMW owners still want an "ultimate driving machine" though to go with the computers, right? 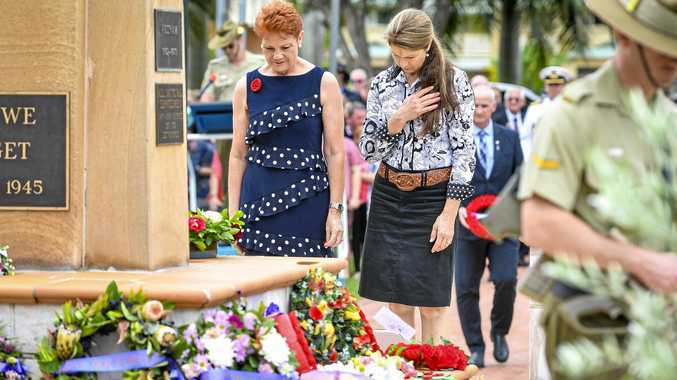 Rest assured, that's not been forgotten. 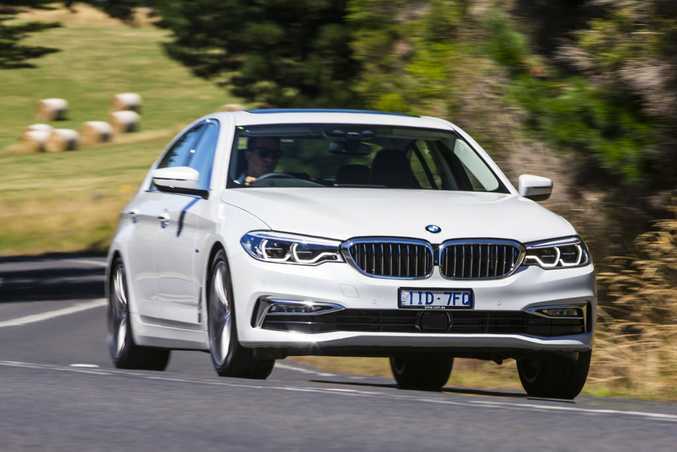 Yes, there are the latest innovations, but it's a 5-Series as we've always known it: dynamic to drive, excellent engine choices, decent efficiency and safety in spades. 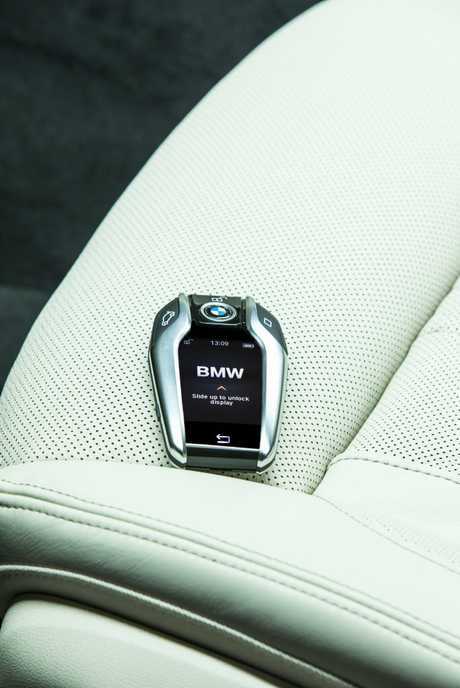 But BMW sure does love trumping its driver-assistance gear and all the connectivity and technology. Shoppers in this segment rather like the innovations, you see. Keeping it simple, we're only getting the sedan with diesel and petrol engines for now. No Tourings (wagons), GTs, plug-in hybrids or M5 for this new G30 just yet, but be in no doubt they'll follow. The wagon is due by the end of the year, and a 530e plug-in by mid-year. At launch we have two turbo diesels: a four-cylinder 140kW/400Nm 520d and six-cylinder 195kW/620Nm 530d; plus two turbo petrols: a four-cylinder 185kW/350Nm 530i and range-topping six-cylinder 250kW/450Nm 540i. They sure are. Out of the outgoing equivalents (520d and 528i), the cheapest two - the 520d and 530i - are up nearly $10,000 each. BMW justifies this by (quite fairly) pointing out the added equipment over before is worth more than $15k for each model, meaning "customer value" is $6k-plus for each car. Sticker price of the 530d, which replaced the 535d, is actually down nearly $4k for a rather appealing "customer value" increase of nearly $20k with all the new kit, while the 540i (replacing the 535i) is a mighty $19k more than before. Saving the day is "customer value" once more, at $15k, thanks to an apparent $34k worth of extra spec over the old 535i. I'm expecting monumental included stuff then for my "customer value". If you're driving around in, say, a 10-year-old exec sedan, you genuinely will not believe how the game has moved on. 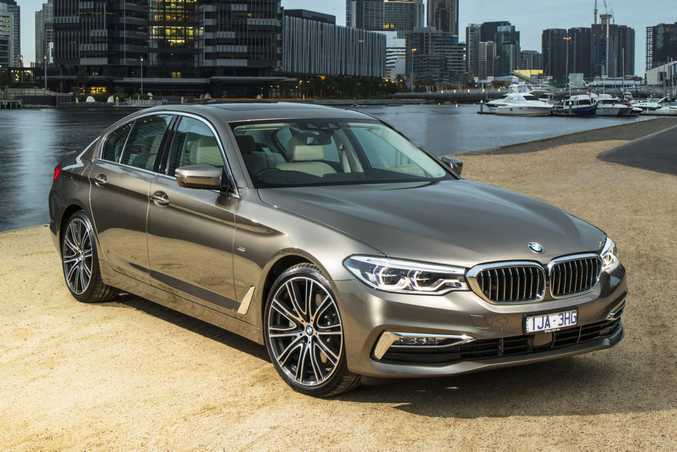 I could write a whole article on the incredible inclusions on a new 5-Series, then another one explaining what they can all do to help your life. Stick to the standouts then. Okay. Standard on all 5-Series are a leather cabin, electric seats, 70% larger head-up display, wireless phone charging, 10.25-inch touchscreen, active cruise control, lane-keep assist, cross-traffic warning, panorama view parking assist, speed limit information and BMW's excellent ConnectedDrive to access BMW Online and BMW Apps to integrate your Spotify etc and navigation with real-time traffic info. And as I move up the range? All the rest score Dynamic Damper Control so you can choose between comfort or sports-oriented suspension at the touch of a button. There's also Adaptive Mode, analysing your throttle and steering as well as using road navigation data to continuously set the car up in its optimum position for the road ahead. Clever. 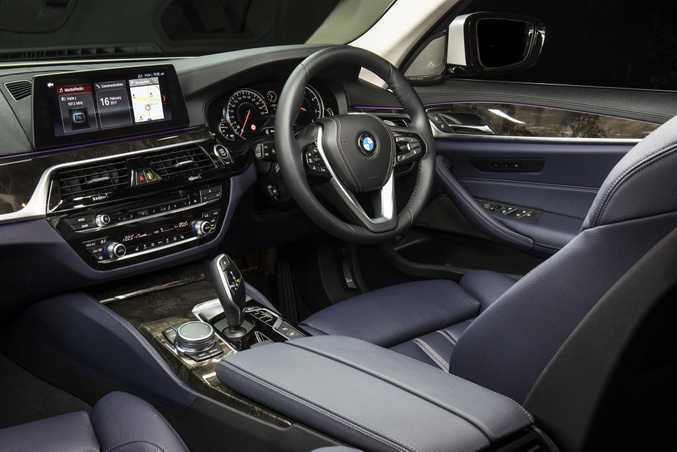 The 530i and 530d bring a sportier M Sport Package, 19-inch alloys, M Sport brakes, 12.3-inch multi-function dash screen (cool, but not as cool as Audi's Virtual Cockpit), auto tailgate, heated seats and Harman Kardon sound system, while flagship 540i adds 20-inch alloys, electrically-controlled roll stabilisation for flatter cornering, gorgeous Nappa leather, seat ventilation, glass sunroof, metallic paint and Ambient Air with its air ionisation and your choice of eight fresh scents for the cabin. It's a BMW, so rest assured you can still spend more on options. I tested all four models and each had five-figures worth of extras - the 540i adding an extra $30k thanks mainly to the Bowers and Wilkins surround sound ($6400) and an Indulgence Pack with massage seats and rear screens for $8000. If I were extras shopping, I'd go the Nappa leather for an extra $1300 and the world-first wireless Apple CarPlay at a cheeky extra $623 (although BM's system is so good you really don't need it). But integral for the show-off in you is the Innovations Pack for $1600. You score a Display Key (think smartphone screen on your chunky keyfob), remote-control parking so your car parks itself after you've hopped out, and Gesture Control where you can scroll display screens or lower audio volume, for example, by swiping your hands or finger. Incredible stuff. Suppose it drives itself too? Well, yes. 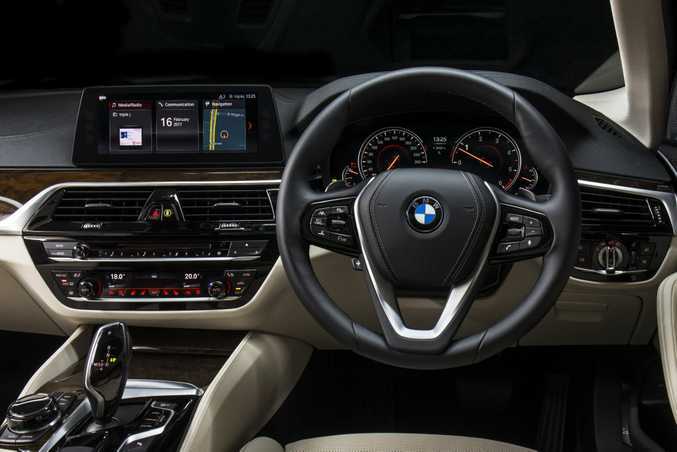 Semi-automated driving is here for all 5 Series, with its six cameras, five sensors and 12 ultrasonic sensors automatically recognising road markings, lines, other vehicles and obstructions, so the car will steer itself to stay in lane and raise or lower speed to suit cars in front. It's a driving assistant rather than fully autonomous, so you need to keep brain engaged and hands (kind of) on the wheel. Is your commute a traffic bore fest? 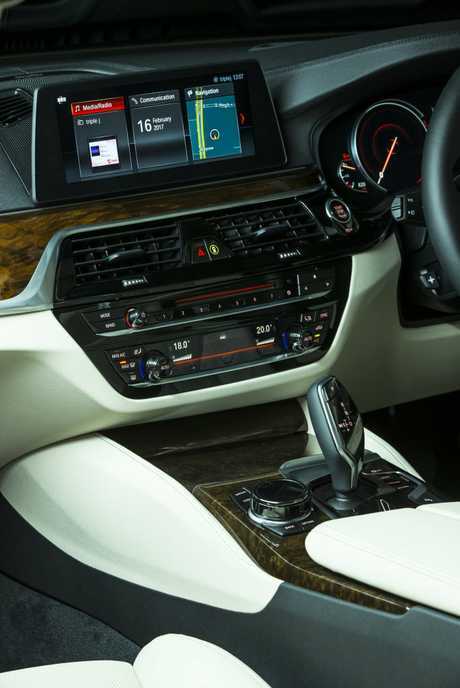 The 5 Series will do the monotonous work while you relax. You said it's still brilliant to actually drive yourself though? And it is. 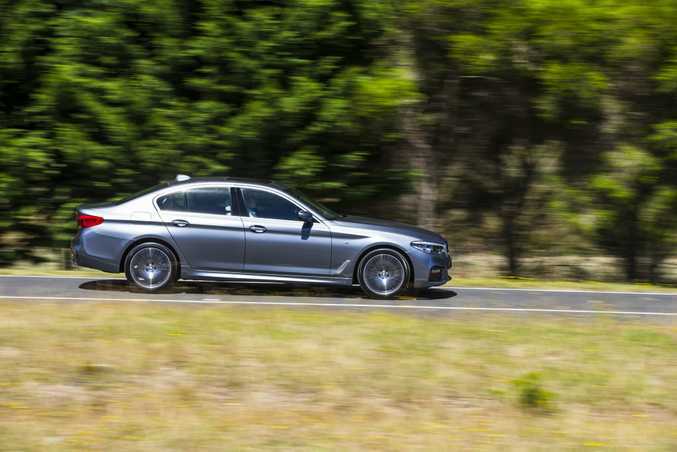 The 5 Series' neatest trick is blending ride comfort with excellent dynamics and performance. It effortlessly absorbs the bumps in Comfort mode for the required exec lounge experience, then opt for Sport and it is supremely balanced in the turns. It's a big car, yes, but doesn't feel too heavy when cornering, steering is breezily light (perhaps a bit too much so in Sport mode), and you could make a case for any of the engines in the line-up: each is deeply impressive, as is the never-flustered eight-speed auto gearbox. \The cheapest, the 520d, can get a bit noisy when pushed, but has ample torque to shove you along at a good rate. The six-cylinder 530d is a real cracker of a motor, with mighty pull to help you hit 100kmh in 5.7-seconds, but the petrols bring most driver joy. The 530i - predicted to be the sales champ in the range - is a real sweet spot in terms of strong performance, economy and spec. That said, the silky 3.0-litre six-cylinder in the 540i is a tour de force of an engine. Stunningly smooth yet strong enough to help you hit 100kmh in a smidge over five seconds, it only lacks for a bit more noise to add to the experience. Not bad. Rear space is slightly more than the outgoing 5 Series but you need a 7 Series for the true stretch-out limo experience, while the boot is impressively deep for luggage or your golf bags. What's the 5 Series stiffest competition? Those pesky Mercedes rivals have the rather good E-Class sedan (from $89,900); Audi's A6 is pretty strong (from $80,355); Jaguar's XF (from $82,754) means the Brits have a battler, and keeping it Euro, have a look at Volvo's sleek S90 (from $79,900). It's kind of a sign you've made it in life if you can treat yourself to a new 5 Series. And it's hard to imagine anyone being disappointed. This latest offering is indeed up in price, but the level of luxury, technology, safety and innovation is mind-blowing. 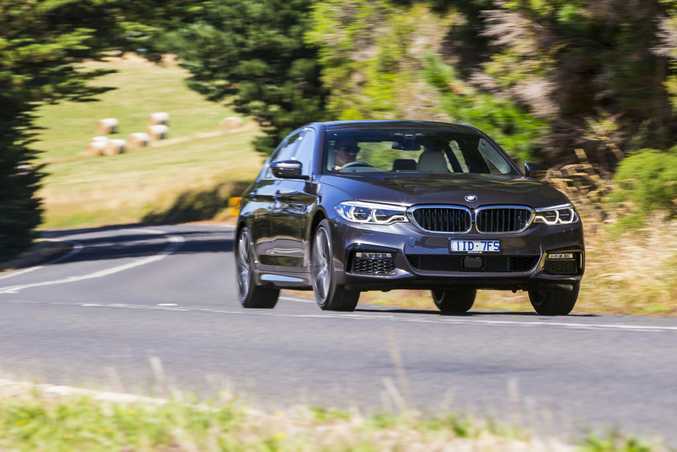 Combine that with typical 5 Series dynamic brilliance and an engine line-up you can't go wrong with, and no matter your choice from the range, you'll be endlessly impressed. Model: BMW 5 Series (G30). Details: Four-door, five-seat, rear-wheel drive, premium mid-size executive sedan. Engines: 2.0-litre four-cylinder turbo diesel with 140kW and 400Nm (520d); 2.0-litre four-cylinder turbo petrol with 185kW and 350Nm (530i); 3.0-litre six-cylinder turbo diesel with 195kW and 620Nm (530d); 3.0-litre six-cylinder turbo petrol with 250kW and 450Nm (540i). Transmission: Eight-speed auto with gearshift paddles. Consumption: 4.3L/100km (520d); 5.8L/100km (530i); 4.7L/100km (530d); 6.7L/100km (540i). Performance 0-100kmh: 7.5-seconds (520d); 6.2-seconds (530i); 5.7-seconds (530d); 5.1-seconds (540i). 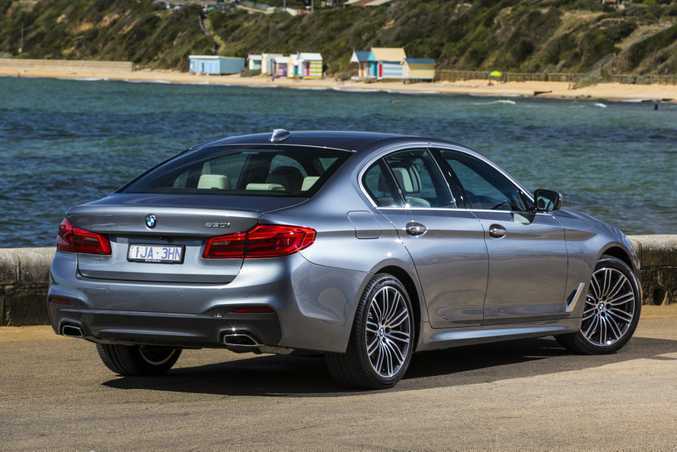 Bottom line plus on-roads: $93,900 (520d); $108,900 (530i); $119,900 (530d); $136,900 (540i). What we liked: Incredibly advanced technology across the board, typically excellent 5 Series driving dynamics, elegance and luxury from entry level. What we'd like to see: Fuel economy figures closer to quoted, bit more noise from the 540i, all that tech may overwhelm some buyers. Warranty and servicing: BMWs have conditioned-based servicing, with services required depending on how the car is driven. BMW Service Inclusive for $1640 covers scheduled services for five years/80,000km.